hd00:29Mature adult man walking with backpack in forest. 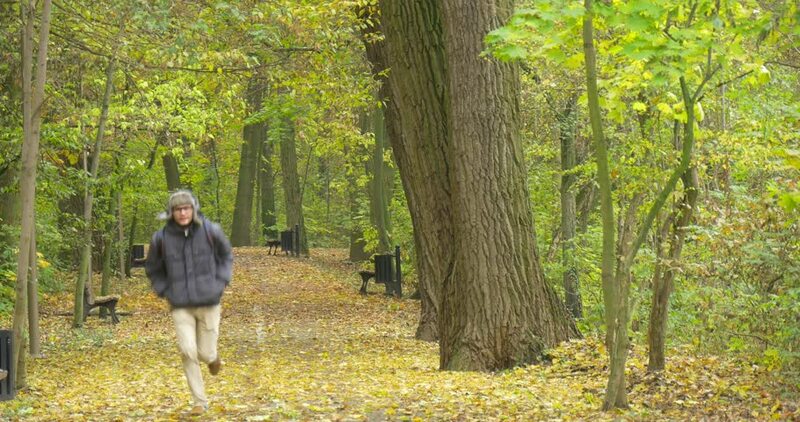 hd00:07Man jogging in the forest. Young athlete running uphill in the woods then takes a turn. sd00:12Aerial view of an old barn with a tiled roof.